That’s where the similarities end, however, and decision-making begins. For homeowners and buyers across Brentwood , FHA mortgages carry a different set rules as compared to conforming loans through Fannie Mae or Freddie Mac that can render them more — or less — attractive for financing. 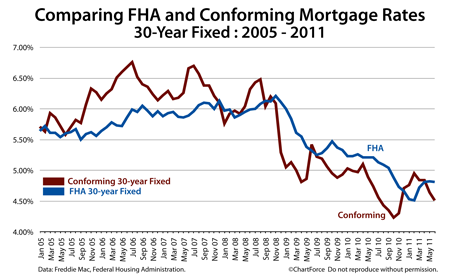 By Phillip Cantrell|2015-02-11T15:01:10-05:00July 26th, 2011|Agent Blog, Consumer Blog, Mortgage Guidelines|Comments Off on Is An FHA Mortgage Better Than A Conforming One?